Since the budget announcement last May, and the subsequent legislation passing in November, we’ve received many calls and emails from clients wanting to confirm whether they are still able to claim depreciation on their investment property. We’d like to take this opportunity to clear up some of the confusion currently out there in the investor community and allow you to feel clear about your current position. Refer to the scenarios below to see which best applies to you. My investment property is a commercial property. Excellent! The changes do not affect your ability to claim depreciation on this property. The changes only affect some residential properties (outlined below). 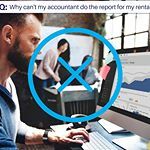 If you have purchased a commercial investment property, or have fit-out some rented commercial premises, we have further information about depreciation and how to maximise your deductions here. My investment property is owned by a company structure (not including a self-managed superannuation fund or family/discretionary trust). Fantastic! You are not affected by the legislative changes. Only residential investment properties owned by individuals or personal structures such as self-managed superannuation funds or trusts are affected. Investment properties owned by companies or large corporate investment trusts remain unaffected. If you have purchased an investment property in a company, contact us today for a depreciation estimate and obligation-free quote. I purchased my residential investment property before May 9, 2017 and have been claiming depreciation each financial year. Great news! You are not affected by the budget announcement and new legislation. The “Grandfathering” principle applies to you, meaning that the legislation that was in place when you purchased your investment property will continue to apply for you. You can continue to claim your depreciation as you have previously. If you have a Capital Claims Tax Depreciation schedule that requires updating (you have replaced or added new assets), don't hesitate to get in touch to claim your free report update. I purchased my residential investment property before May 9, 2017, but I haven’t claimed depreciation before. Great news for you! The legislation that was in place when you purchased your investment property will still apply for you, you are unaffected by the changes. Though if you lived in the property until after May 9, 2017, you may not be eligible (best to get in touch with us and we can work it out for you). If you don’t have a depreciation schedule to assist you with claiming for your depreciation, we will be happy to provide you with a free estimate of deductions. If you would like a free estimate of deductions, with an obligation-free quote, please click here. I purchased my residential investment property (brand new) after May 9, 2017. Great news for you also. You are still able to claim all of the deductions that were claimable under the previous legislation. The new legislation only refers to second-hand assets acquired in the purchase of an investment property. Brand new properties, with brand new assets are not affected by the changes. Brand new properties generate substantial depreciation deductions for investors. If you would like a free estimate and an obligation-free quote, please get in touch here. I purchased my established (not brand new) residential investment property after May 9, 2017. The news for you is good. 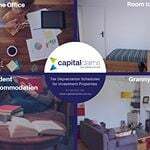 You are still able to claim depreciation of capital works, but deductions for the depreciation of your included assets is deferred until sale. This means that you can still annually claim building works, for both the original construction (if it is not too old), plus any building additions/renovations/improvements made over time (even if you didn’t do them yourself and they were there when you purchased the property). You can also claim annually for any subsequent works you do and for any assets you have replaced in the property. You are just not able to claim immediately for second-hand or used assets that were included in the property when you bought it. Assets are things like the air conditioner, hot water system, kitchen appliances etc. The depreciation of these assets is still claimable though when you sell the property. To ensure you can claim for this depreciation and minimise your capital gains tax, we recommend you have a depreciation schedule prepared at purchase (a depreciation schedule will itemise these assets and forecast the depreciation forward). In the meantime annual depreciation claims for your building and subsequent works could still be considerable and we recommend you take advantage of our free estimation service to see for yourself if believe a depreciation schedule is worthwhile for your property. If you would like a free estimate and obligation-free quote, please contact us here. If you would like any further information we will be pleased to discuss your specific situation with you. 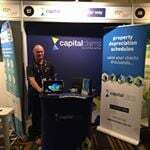 Just give our friendly team a call on 1300 922 220 or send an email through to Kylie on kylieh@capitalclaims.com.au. Still unsure about claiming depreciation since the new legislation? Investors don’t need to miss out on claiming depreciation on second hand assets!